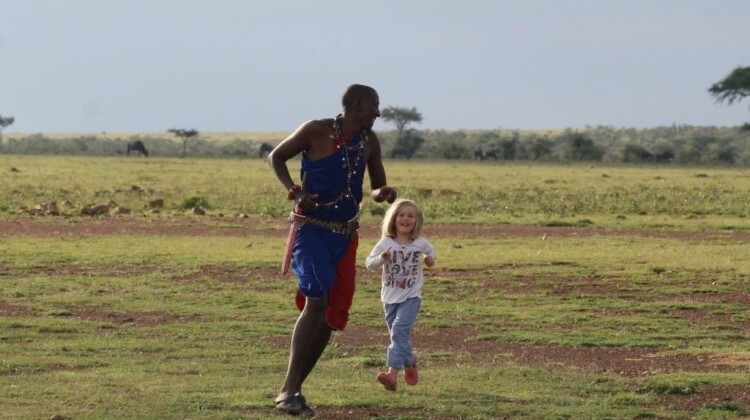 This report popped into the Aardvark inbox recently and sums up so evocatively what a Kenya family safari is all about. We’ve reproduced a snippet in the current issue of our Drumbeat newsletter but here’s Ben Forbes’ full write up of his family’s stay at Leleshwa Camp. 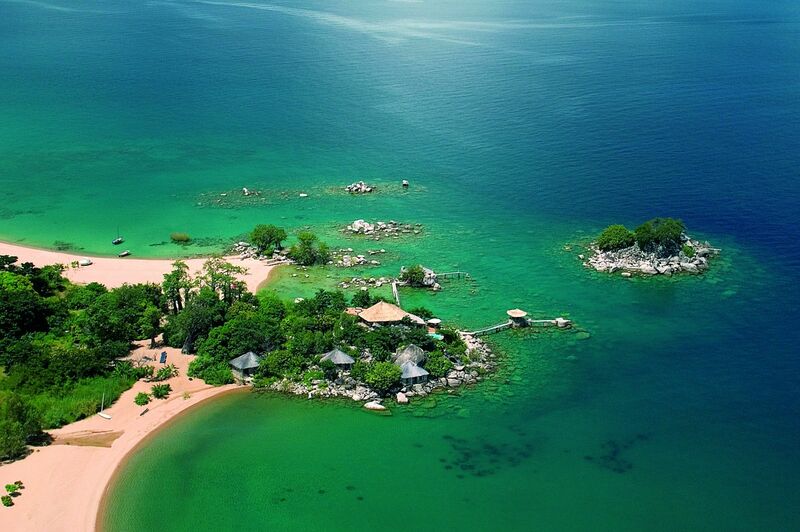 Last week I reported on our perfect 10 wildlife safari with Kicheche. Today I want to shine a paraffin lantern on the final experience of our family safari week in Kenya. 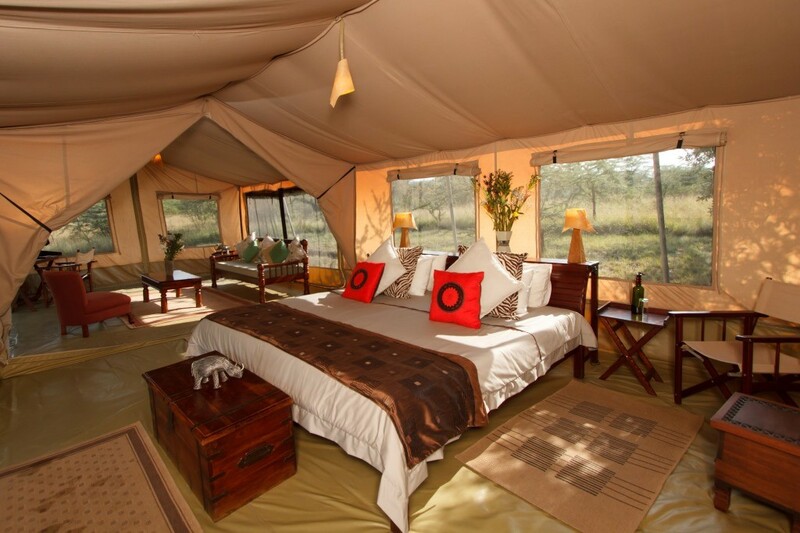 Our last night was spent at Leleshwa Camp in the fledgling Siana Conservancy. If you have a map handy, it is the land directly to the east of the Naboisho Conservancy. 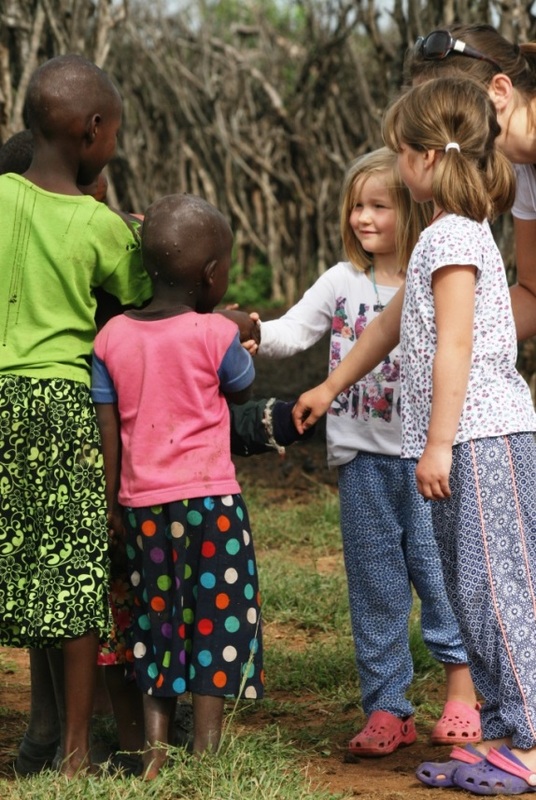 Having filled our memory cards with an absolute feast of nature, we were keen to show the girls how the Masai live as a family in Kenya. David at Leleshwa has long been my go-to guy for positive cultural experiences. The Masai Mara is possibly the most famous safari destination on the African continent and as a result it can be easy to stumble into a contrived cultural pantomime. I knew that Leleshwa wouldn’t let that happen so off we set to meet one of the Kenyan families involved in the developing conservancy. 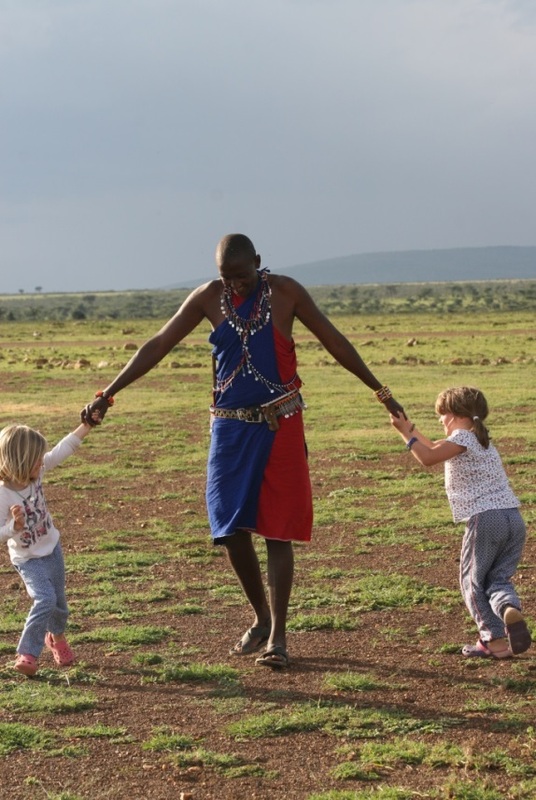 Maasai guide, David, playing with the girls. Visitor etiquette was explained en-route before introductions were made, hands shaken and after the initial shyness wore off, a couple of children’s songs were shared. My youngest daughter kept a respectful distance whilst her sister waded straight in and before long someone handed her a baby goat to carry. I took that to be a good omen, after all, to a Masai child that is a bit like asking someone to look after your pocket money. The goat was a catalyst for some ‘Questions and Answers’ on livestock management and which members of the family were involved in herding. In stark contrast to their own lives, the girls met children not much older than themselves who were responsible for young animals. What parent wouldn’t like their children to see that a comfortable childhood isn’t necessarily a birth right? We were later invited inside a manyatta (homestead) and David interpreted for our host as she explained how the household is run. The conversation covered building techniques, social etiquette, cattle prices, ear piercing and the impact that schooling is having on Maasai culture in general. Whilst some meaning was lost in translation, the girls were struck by the simplicity of village life. Our visit sparked some healthy debate regarding the amount of material clutter the girls generate. 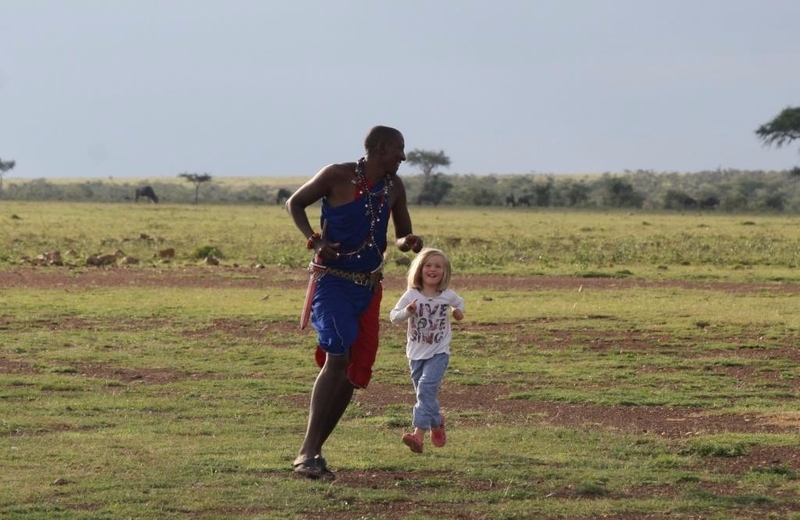 Their Kenyan memories are going to be more than just a wildlife adventure. Our time in a warm, dark Kenyan hut made two thoroughly modern European children wonder about the nature of contentment. Bravo David! 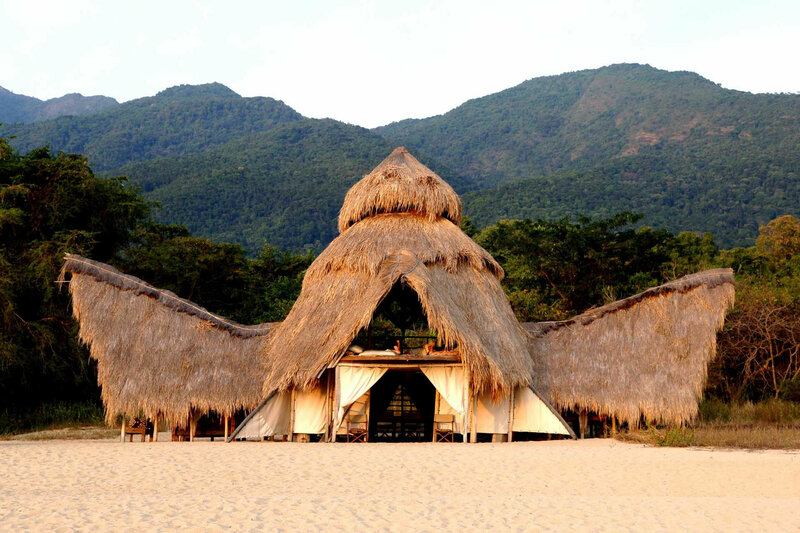 What of Leleshwa Tented Camp and families? From the moment of arrival it was all about the little people. Our lovely sun downer on the plains near camp included fresh spag-bol for the girls so they wouldn’t have to wait for dinner and later we enjoyed our own private table outside our tent whilst they slept. That simple touch alone made it a brilliant night for those of us old enough to drink alcohol. David arranged for a local lady to come and teach the girls how to make bead necklaces which gave us another two hours of complete peace to watch the stream-side wildlife. When we went to check on them they were happily stalking Rinka the guide with their miniature bows and arrows. It was more Carry on Safari than Lord of the Flies but the point I should make is that if you have small children, Leleshwa will put a massive smile on your dial. 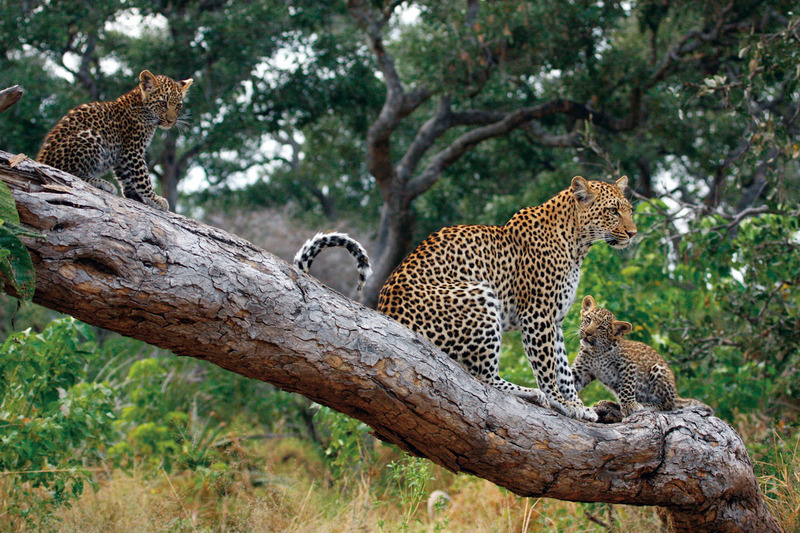 The Aardvark Safaris team has lived and worked in Africa, and can match the right Kenyan family safari for your family. All you need to do is email us or call us and tell us what you’d like to see and we’ll do the rest, giving tips and advice, and then putting together a full detailed itinerary. 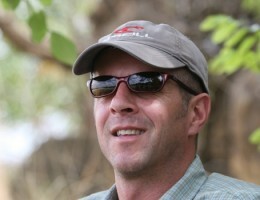 Ben Forbes is one of our colleagues in the safari industry and has travelled widely throughout Africa. He runs Northern Exposure, a specialist representation company.